Chinese like to eat, you can't and you won't miss big eating during CNY. If you don't eat big, you don't celebrate CNY. Somehow this post isn't anything about CNY eating, it's been in my hard disk for months, I think almost a year already, you can see some CNY greetings like 大地回春 in the menu too! I oversighted to post it but a recent visit back to the restaurant for CNY eating, the "closing dinner" 收工酒 recalled my memory. The restaurant. I like the big Chinese words on the board, this is not common in BullehlLand. Perfect!! 2 thumbs and 2 toes up for this restaurant! Highly recommend this restaurant if you are into Chinese / Oriental food. This restaurant did not disappoint me for my both visits. 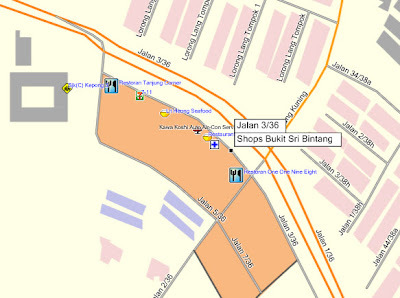 Jalan 3/36, same row with another good restaurant Lit Heong Seafood Restaurant and next to Restoran One One Nine Eight. Not in MFM map, perhaps I should submit a POI.